Showing 51 – 75 of 246 feature stories. In our recent Q&A with Animatrik's Post Production Supervisor, Sara Cameron, we learned a little bit more about motion capture and Sara's recent work on Gears of War 4 and Gears of War Ultimate Edition. Joe Lamond, NAMM President and CEO, answers a few questions about the history of the NAMM show, what to expect from this year's show, acknowledging industry greats lost in 2016 & so much more. On December 8th , 2016, Imagecraft Productions became the first rental house in North America to offer the new, RAPTOR prime macro lenses for rental. The TV and media industry has seen immense advancements in the way consumers watch and engage with video. The rise of OTT, predominance of multi-device viewing and the sophistication of screen resolutions like 4K/UHD are just some of the latest enhancements that have influenced how broadcasters and content providers approach the consumer viewing experience. Concurrently, and unsurprisingly, consumer demand for this content is flourishing as media outlets and platforms proliferate. The content players that can meet this demand and successfully evolve into a multiplatform driver will emerge as the leaders in today’s rich and evolving media landscape – and reap the rewards. Amongst all the necessary operational fixings that need addressing to get there, implementing a unified, end-to- end digital workflow is a fundamental step in the right direction. The transition to “the cloud” in our industry has been challenging. In order to understand how we address cloud computing, we must follow the history of how we got here. The advent of 4K has been talked about and talked about in the media world. Well, guess what? It’s here. The discussion has shifted from theory and conjecture to real needs and challenges. Consumers have demonstrated the appetite for it. Now broadcasters, service providers, content owners and content creators must deliver it.There are enough challenges—from bandwidth strains to quality concerns—when delivering 4K content for broadcast TV. And when you consider 4K for internet-delivered channels it seems even more daunting. But it doesn’t have to be. Here’s what you need to know. The impact of technology today on sports and the fan experience is growing more and more each day. Fans in and out of the stadium want more access to in-game statistics, insights and the vantage points that they can receive from instant replay and slow motion. EVS, the pioneer of instant replay, just scored an Emmy Award for its Epsio Zoom technology. FOX Sports used Epsio Zoom for first-time 4K coverage of key holes of this year's US Open (golf). The solution was integral to CBS' Super Bowl coverage this year and is in use by the Minnesota Vikings, at MetLife Stadium and by broadcasters, other stadiums and arenas around the world. Read our exclusive interview with James Stellpflug, Vice President of Product Marketing, EVS, about the technology, the impact of 4K, and more. Hot off the back of her Emmy nomination for Beyonce's 'Lemonade,' Hannah Bleacher has hit her stride as one of the hottest production designers at the moment. After working on Creed last year, Hannah is enjoying the praises of director Barry Jenkin’s coming-of-age story MOONLIGHT, and is already set to work on the upcoming THE BLACK PANTHER film. 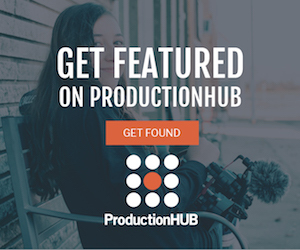 In an exclusive interview with ProductionHUB, Hannah talks favorite sets, challenges with filming and more. 2017 is fast approaching and professional videographers and agencies are once again evaluating their technology needs. As 4K resolution becomes increasingly widespread, the question for many has become: Is it time to look beyond 4K? On November 3, Canon filled the ASC Clubhouse in Hollywood with Society members, cinematographers and other production professionals for the unveiling of their new flagship digital cinema camera, the EOS C700. It was exactly five years ago, on November 3, 2011, that Canon first unveiled their EOS C300 and pledged a commitment to the cinematography community to collaborate, listen and evolve new technology designed for filmmaking. Coming off of a recent review of the Blackmagic Design Micro 4K, I was excited to take on (along with the Micro 4K) the Video Assist 4K Recording Monitor. The Video Assist 4K did not disappoint providing clean, clear, crisp images along with solid recording 4K settings. The dual built-in, high speed UHS-II recorders use off the shelf SD cards to record HD and Ultra HD video as professional 10-bit 4:2:2 ProRes or DNxHD files. For more than a decade Wright Way Video, Inc. owner Joshua Wright has been delivering professional production services for countless broadcasts such as Soundstage, the long-running live concert TV series featuring new and legendary artists—from Fleetwood Mac and Bad Company to Kenny Chesney and Regina Spektor. It’d be pretty hard to argue that consumers aren’t getting on board with 4K technology. The statistics make a strong case. Whether it’s actually worth it for consumers to adopt might be more debatable, but they’re casting their ballots in favor of the technology. Originally from The Netherlands, Anne Jans now resides in Canada, where she is the Lead Animator for The Sequence Group, where she has completed projects like Halo: The Fall of Reach to their new Slack commercial. She discusses how she found her passion and what the life of being a lead animator is really like. When YouTube started allowing uploads and playback of 4K video in 2010, many thought it was just a gimmick. In 2014, when Netflix launched its first 4K streamed shows, “House of Cards” and “Breaking Bad”, there was more acceptance that the new standard was becoming the real deal. By the end of 2016, the analyst firm IHS projected that around 10% of US homes will own a 4K TV, which they estimate will rise quickly to a third by 2019. 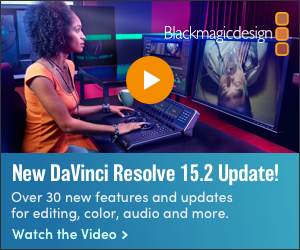 When I got the delivery of the Blackmagic Design Micro Studio Camera 4K, I was instantly very curious. I am thinking to myself, OK, a small 4K camera, not exactly a brand new idea. So how would it stack up? What would the image quality be? There are other cameras in the small 4K space that make really nice images, so what would set the Blackmagic Design 4K Micro apart from the rest? 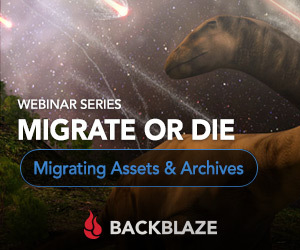 Get ready for an interesting twist on how Blackmagic delivered with really solid, exceptional picture quality. YouTube star, Prince Ea, has teamed up with production company, Shareability, to look at a few different areas of the future, including education, with Neste's Pre-order the Future campaign. Neste is a Finnish renewable energy company, and together with Prince Ea, they are exploring how to use new types of renewable raw materials to develop long term sustainability. Rotolight, the award-winning British LED manufacturer, has been chosen as the exclusive LED lighting supplier to Celebro Media Studios, the UK’s first 4K television studio. Established just over two years ago in London’s West End, Celebro Media Studios is specifically designed for live television applications. University of Advancing Technology Professor Hue Henry, Game Programming, Virtual Reality and Augmented Reality teacher, answers a few questions about the new Pokemon GO phenomenon and where the future of augmented reality lies. ProductionHUB:Do you foresee other apps like this in our future or how might other companies and brands use augmented reality to their advantage? Panasonic today announced availability and pricing for the first two models in its new UX series of professional 4K camcorders, the UX Premium Model AG-UX180 and the UX Standard Model AG-UX90. The UX180 and UX90 begin deliveries in December and November, respectively, with suggested list prices of $3,795 and $2,295.